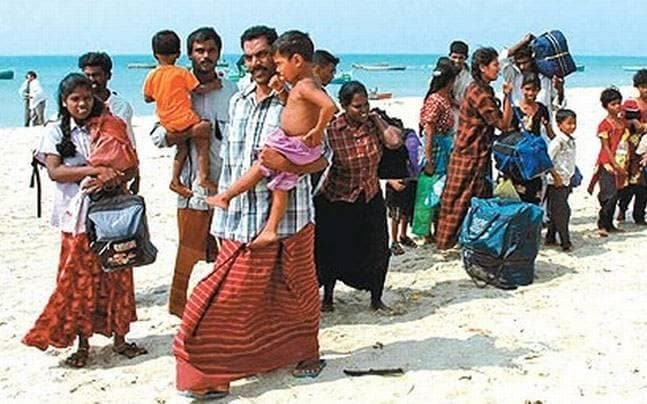 The Sri Lankan government is working out with the Indian government ways and time frame for the repatriation of Tamil refugees living in India. The new Sri Lankan High Commissioner to India, Austin Fernando, said on Friday that he will soon be travelling down to South India where according to him nearly one lakh Tamil refugees are stationed, for consultations with them. The Indian government claims these numbers to be roughly two lakh. The envoy said representatives of Indian and Lankan government are expected to be part of the discussions for repatriation. "What we know is that out of near about one lakh Tamil refugees in India, nearly 20 to 30 per cent want to stay back in India and do not want to return to Lanka. For those who want to return, we have to ensure that they have food, shelter and livelihood when they go back. We have to work on that. We have to ensure that they are safe when they are back. Refugee repatriation cannot be successful till we make sure those going back are safe. But that will be done as soon as possible though we cannot give a time frame," Fernando said while responding to a question from ANI at an event held at Foreign Correspondents Club in New Delhi on Friday. The envoy said that there are also logistical issues like what all and how much the refugees can take along with them, and how they will be taken back. "There are these basic issues like whether they will go by ferry or ships etc that have to be worked out," Fernando said. The High Commissioner added that there are at times political reasons behind the delay in the repatriation of Tamil refugees from India. Without naming any political party in India for playing games, Fernando said, "There is some sort of organised attempt to keep them. There is a political motive to keep them (refugees) in India. We should be careful on that part." It is a known fact that former Chief Minister of Tamil Nadu and AIADMK chief, J. Jayalalithaa was opposed to the repatriation of Lankan Tamil refugees. Later, DMK too joined the move to oppose the repatriation. Talking about accountability, judicial inquiry and investigation on human rights violations and forced disappearance of Tamil people in Lanka during clean up operations against LTTE, Fernando said that investigations are still on. "There is no denial that there were atrocities and investigations are going on to fix responsibility and punish the guilty. This is an ongoing process. Lawyers are working on it and documentation is being done," the High Commissioner said. Fernando is a seasoned civil servant of Lanka who has also worked as Secretary to Lankan President Maithripala Sirisena since July 2017 before coming to India as new High Commissioner. He has in the past served as Secretary at the Rehabilitation, Public Administration, Home Affairs and Provincial Councils in Sri Lanka.